Born: 1888, St. Helen’s, Ipswich. Died: 23rd August 1915; age 31; Dardanelles – Died of Wounds on board Hospital Ship ‘Rewa’ (16th Stationary Hospital). He was severely wounded in both legs by shell fire, every effort to save him were in vain. Residence: 26, Alexandra Road, Ipswich. Employed: Ransomes & Rapier Ltd., Waterside Works, Ipswich. Date of Entry Therein: 11th July 1915 – Balkans. 1891 26, Alexandra Road, Ipswich. Sidney was 2 years old and living with his parents & siblings. William Knights, 39, a Pattern Maker – Foundry, born Ipswich. Harriett Esther Knights (nee Vince), 38, born Ipswich. Kate Amelia Knights, 13, born Leicester, Leicestershire. Percy Sheldon Knights, 12, born Leicester, Leicestershire. Lily May Knights, 10, born Ipswich. Gertrude Florence Knights, 7, born Ipswich. William Charles Knights, 6, born Ipswich. Ellen Grace Knights, 9 months, born Ipswich. 1901 26, Alexandra Road, Ipswich. Sidney was 12 years old and living with his parents & siblings. William, 49, a Steam Engine – Pattern Maker. Percy, 22, an Iron Turner. Gertrude, 17, a Day Girl. William, 16, an Apprentice – Steam Engine – Pattern Maker. Walter Thomas Knights, 7, born Ipswich. Arthur Frederick Knights, 5, born Ipswich. Albert Edward Knights, 3, born Ipswich. Thomas Henry Knights, 1, born Ipswich. 1911 26, Alexandra Road, Ipswich. Sidney was 22 years old, a Carpenter. He was living with his parents & siblings. William, 59, a Pattern Maker – Agricultural Implements Company. Gertrude, 28, a Shop Assistant – Confectioners. William, 26, a Pattern Maker – Mill Engine Works. Arthur, 15, an Apprentice Carpenter. 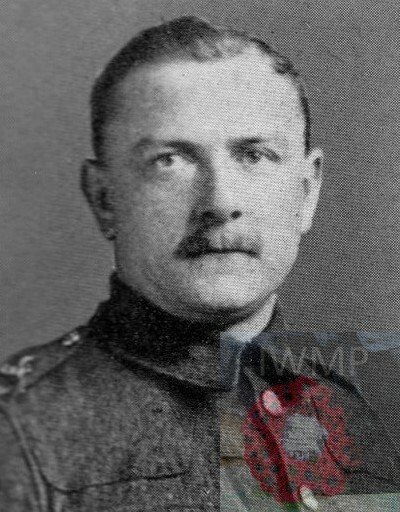 Soldiers’ Effects to William Knights – father. 1915 Suffolk Chronicle & Mercury newspaper. Sidney is also remembered on the Ransomes & Rapier Ltd. War Memorial, Bourne Park, Ipswich and at Christ Church, Tacket Street, Ipswich. 1 Pings/Trackbacks for "SIDNEY JOHN KNIGHTS"